The black-and-white portraits of these street youth — (left to right) “Blue,” “Lauren” and “Otter Pig” — were photographed in Austin between 2014 and 2016 by Michael Joseph, who since 2011 has photographed train riders and hitchhikers he calls “a loosely knit tribe of travelers” living transient lifestyles nationwide. A series of Joseph’s black-and-white portraits of these travelers — titled “Lost and Found” — is now on view at Daniel Cooney Fine Art in New York City. 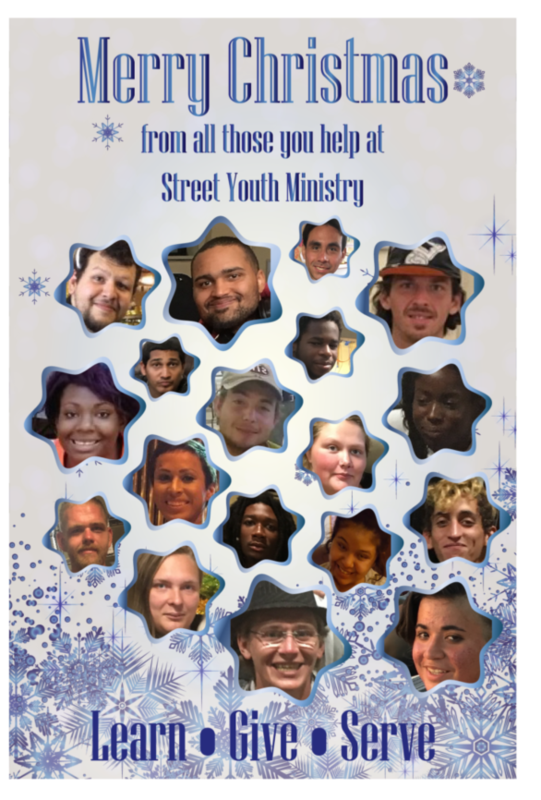 Street Youth Ministry has served some of these individuals specifically — and lots of them generally. We invite you to learn more about Joseph’s work, using the link below. Each month, our clients make awesome progress that we celebrate! We pray for our clients in four important areas: stability, sobriety, reconnecting with God, and finding a faith home. Jobs obtained — One got a new job at El Mercado. Another at a car wash. Another at Popeye’s. One at at H2O. One client no longer on the streets has a job as a janitor at UT and is the elected labor representative. Three more additional clients are working at new places. Another client no longer on the streets has a new job at Hoodz steam cleaning restaurant vent hoods. One client no longer on the streets just passed is real estate exam and is a new broker! One client no longer on the streets has a job at a concrete company. One client was hired by the Downtown Alliance. Another is is working at a restaurant on the Drag, and one got a job at Fry’s Electronics. Finally, one has a new job at the UT Co-op Please join us in praying they can keep their jobs. It’s not easy! Jobs maintained — One client is still working at Barlotta; Another is still working as a secretary at Centex. Job maintenance takes work! Housing — 18 clients are celebrating new housing this month! Awesome work, folks! Education — One client is attending GED classes, another is still in culinary school and one has started school at ACC, majoring in law enforcement. Education is such a door opener! Family reconciliation — One client has reunited with her birth mother, another is getting back into his daughter’s life and one is returning home. Re-forming adult family relationships is hard work! Benefits— Three clients are celebrating government benefits, and one newly pregnant client is seeking WIC support. A little help can go a long ways! Transportation — Two clients are celebrating getting dependable cars. Getting reliable transportation frees one to work outside bus routes and schedules! Misc. — One client is pregnant and spent the full month off the streets! Less street months means much better outcomes! Milestones — 12 clients are celebrating sobriety milestones this month. It’s always a daily choice! 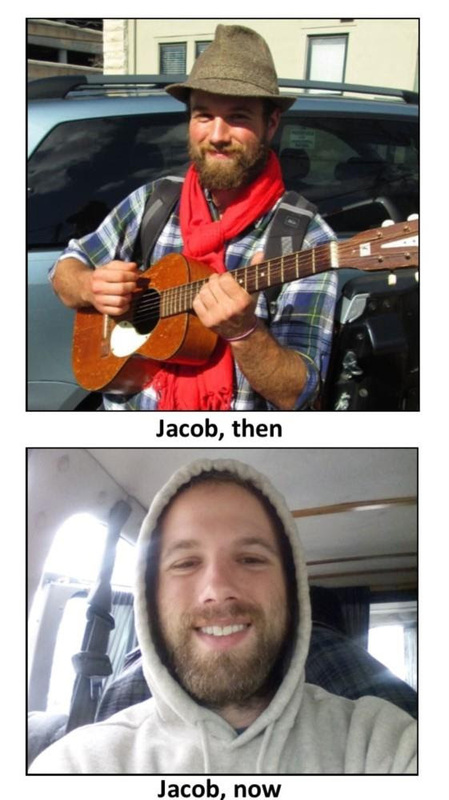 One client wants to serve Street Youth Ministry someday. One client confessed to an ongoing sin. Another client is celebrating his new belief in Jesus. Faith is such a great resource! One client is actively looking for a church home, and another is attending a Bible study at his church. We are our clients’ church-on-training-wheels, and we love it when they find their own communities to call home! 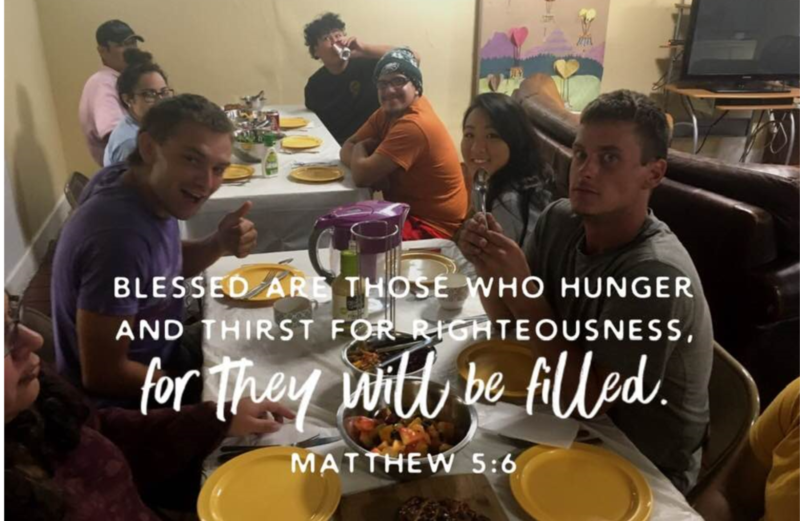 The Street Youth Ministry personality seen most often in the photographs we take is not the lead missionary, Terry Cole. It’s Rosie, Terry’s counseling dog, who seems to know exactly when to find her way into the frame before a shutter release is pushed. She provides untold comfort and companionship to clients and volunteers alike. When Terry started the ministry, he studied a book on fundraising. There was literally a chapter in the book called “Don’t Buy a Dog.” It was about not intentionally increasing your cost of living when raising support. Lol! A few days later on the trip, Terry called a family meeting. He shared that if the family would chip in to pay the purchase price, Terry would raise the funds for the medical bills for shots, spaying, etc. Everyone was quickly in accord and we cut short our trip to go pick up our sweet Rosie! Here she is on her ride home from Arkansas!